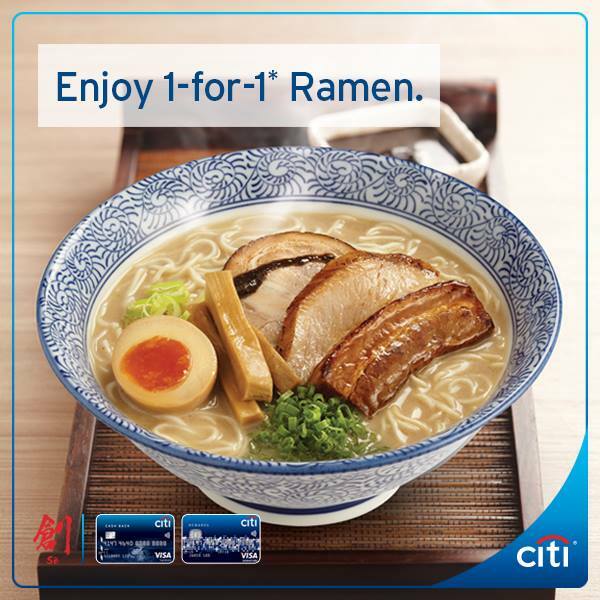 Home > Bank > [Citibank ATM] Craving for a piping hot bowl of ramen? [Citibank ATM] Craving for a piping hot bowl of ramen? Craving for a piping hot bowl of ramen? Make your way down to So, Japanese Ramen and enjoy 1-for-1 ramen on selected Wednesdays with your Citi Card. Next: [Cellini] Get your Living Room Set and Designer Bedframe and a Nightingale Silenite Premium Quality Mattress.